Vensim is simulation software for improving the performance of real systems. Read the Vensim Brochure. Vensim Professional is what is needed for managing large and complicated models. It provides Causal TracingTM of structure and behavior, and has Monte Carlo sensitivity, optimization and subscripting (array) capabilities. Vensim DSS adds an interface development tool for creating management flight simulators, external functions and macros, compiled simulations, and more. Custom Vensim applications (flight simulators and other interfaces to models) can be developed with the Venapp builder, or in a programming language such as Visual Basic, C, C++, Visual C++, Delphi, Excel, and multimedia authoring tools, or in Sable (below). Vensim PLE Plus bridges the gap between the inexpensive (or free) PLE and our higher configurations. PLE Plus is fully featured for its price point and includes data connectivity, multiple views, Monte Carlo sensitivity simulations, game simulations, and the new model-user interface (Input and Output Controls). Vensim PLE (Personal Learning Edition) is software that gets you started in system dynamics modeling and is free for educational use and inexpensive for commercial use. Vensim PLE is ideal for classroom use and personal learning of system dynamics. The Vensim Model Reader is free software which allows you to publish models constructed with Vensim and distribute them to other people. Your model and the Vensim model reader can be copied and passed to as many people as you want, giving people access to your model without their needing to purchase Vensim. 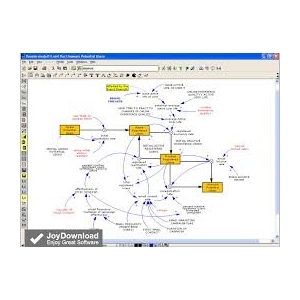 The Molecules software is used for constructing system dynamics models from “chunks” or molecules of system dynamics structure. This software is a collaborative effort among a number of authors.